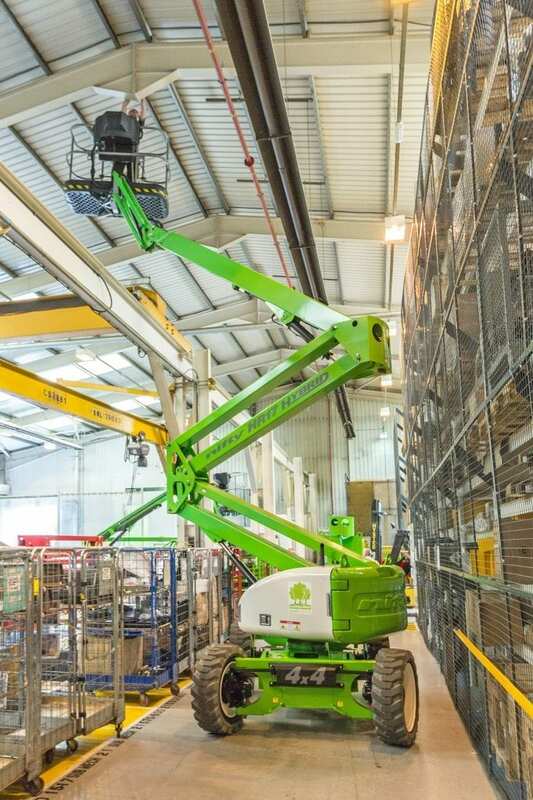 The Height Rider 17 (HR17 Hybrid 4×4) boom lift is one of a new generation of environmentally conscious work platforms from Niftylift. Combining advanced power-source technology with efficient 4×4, it delivers outstanding performance from a compact and super-low-weight design and offers one of the most impressive working envelopes in its class. Its compact base allows it to manoeuvre easily in enclosed spaces and its extremely low overall weight helps to minimise transportation costs. The Hybrid option incorporates a small, power-optimised TIER IV compliant engine supported by the machine’s battery pack for when extra power is needed. This maintains power and performance while reducing fuel consumption for maximum efficiency. 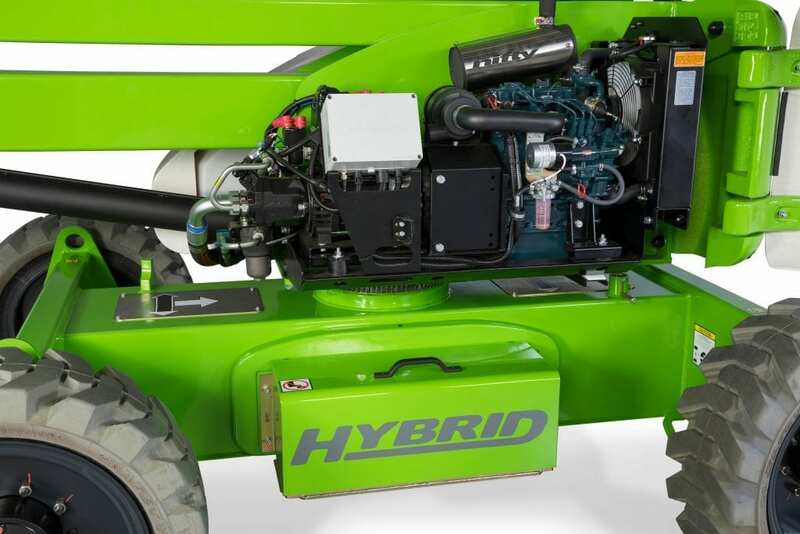 In addition, an electric-only mode allows zero-emission operation and the HR17 Hybrid 4×4 can also operate on battery alone, making it ideal for indoor, quiet or clean applications. The Innovative Diesel Re-Gen recharges the batteries without a mains power source and a fast charge is achieved whenever the machine is idle and the engine is left running. The HR17 4×4’s 1.8m wide, tough, impact-resistant ToughCage offers more space for materials and tools and a 150° fly-boom with 180° cage rotation increases accuracy when positioning the cage. The multi award winning SiOPS® provides additional operator protection. The HR17 4×4 is available with two power options, Diesel-only or Hybrid power. Both the Diesel and Hybrid power options include Niftylift’s advanced exhaust purification system, which greatly reduces Carbon Monoxide, Hydrocarbon and particulate emissions making either an environmentally conscious choice. 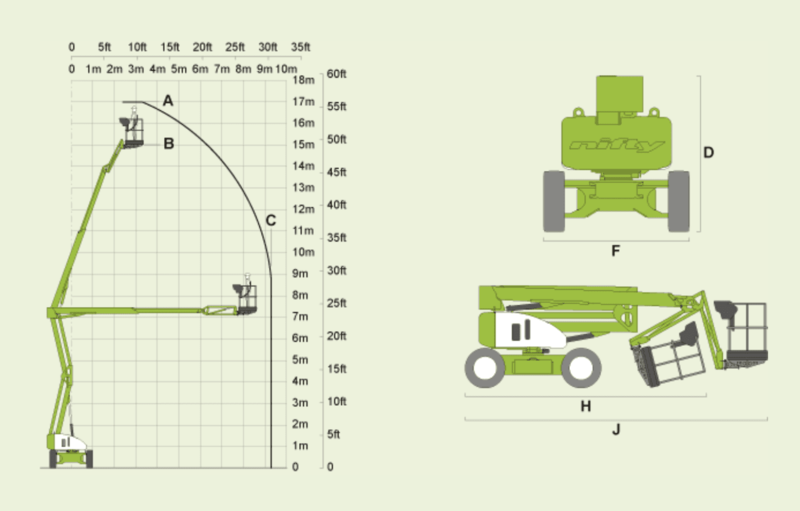 For more information regarding the HR17 Hybrid 4×4 or any other self propelled boom lift, including the HR17 4×4, HR15 4×4 and HR21 Hybrid 4×4, please contact Niftylift.